You get prepared for your morning shower. Things are going great until you feel an icy cold stream of Arctic water pouring from your showerhead. You think you can tough it out, but then the water becomes so unbearably hot that you’re forced to jump out of the shower. 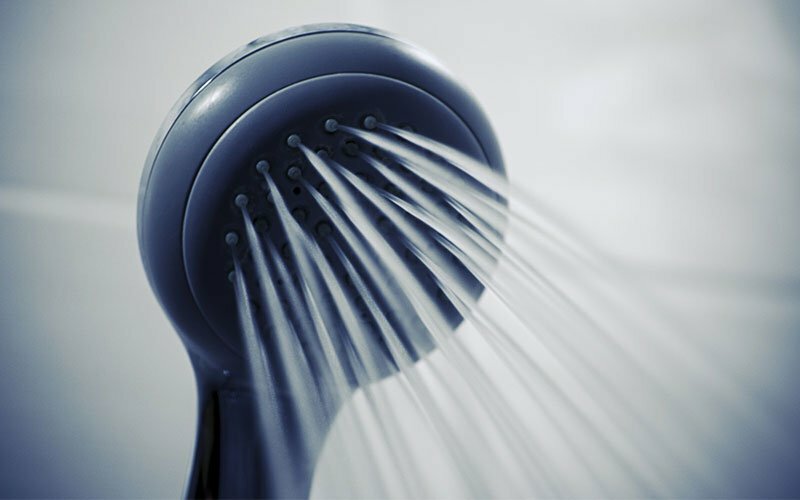 Believe it or not, electric showers shifting from hot to cold water is a common issue. And today, we’ll take a closer look at what causes this annoyance to happen. But more importantly, we’ll give you a fix to this routine-destroying problem. So, if you’re ready to return to your comfortable showers, continue reading. This is one of the most common culprits of causing water temperature fluctuation. If you’re curious, the logic is that there’s not enough water entering your shower to cool it. So, this causes the safety device to turn off the power to your heat until the shower cools to a safe level (resulting in cold water for you). Then, once the shower cools, the heat kicks in again. 🡲 Check Your Flow Valves. If you see any damage or excessive scale, your best option is to replace this piece. Then, you’ll get enough water pressure to allow for a comfortable shower. Building off this point, make sure your valves allow the correct amount of water into your shower. Mainly, you’ll want to ensure the main valve to your house remains fully open. Then make sure every valve leading to your shower is entirely open as well. The reason for this is that safety device we mentioned earlier. When you don’t have enough water flowing through to cool it, the device shuts off the power until it cools. And as you probably guessed, this problem continues until it’s corrected. 🡲 Check for kinked or clogged hoses. You’ll be surprised how common internal collapses occur here. If this is the case, then you’ll need to purchase a replacement hose. Your Thermal Cutoff switch controls the flow of your electrical currents depending on temperature changes. And just as the name implies, this switch “cuts off” any devices when the temperature becomes to warm to avert burnouts. 🡲 Check if it’s a faulty unit – Generally, a multimeter will tell you if there’s any continuity. If you find your TCO produces zero continuity, then you’ll need to buy a replacement TCO. 🡲 Check for Scale build-up in the heating tank – Excessive scale and debris-build up will tamper with the TCO’s functions. Again, your best option here is to purchase a replacement unit. You already know that scale build-up is a nasty foe of any household appliance. And your electric shower is no exception to the rule. So, pop-off your showerhead and handset and make sure there’s not scale or disgusting debris inside. 🡲 Clean them out! The easiest means of flushing both of these pieces is with a liquid descaler. These are usually inexpensive as well. 🡲 However, for your showerhead, we’ve got a quick household fix. Simply put your showerhead in a container and drench it in vinegar. Wait about an hour (or 30 min if the showerhead is brass), and remove it from the container. Then, rinse the showerhead in water. For any stubborn remaining scale, you can scrape it away with a pound-store toothbrush. From here, you’ll rinse again and wipe clean with a cloth. To finish up, reattach your showerhead, and turn on the water to flush out any remaining scale and particles. The changing weather outside can also create fluctuations in your electric shower’s water temperatures. During the winter, your flow rate will drop substantially. And this makes sense when you consider how your shower needs to work harder to pump cold water through your home. And if you go back to the first common issue, you’ll see how your safety device might not think it’s getting enough water to heat your shower. On the other hand, the scorching summers can cause your heat selector to overheat your water and cause the safety mechanics to cool your water as a result. In other words, you’ll get some major water fluctuations. 🡲 For winter months, you’ll need to turn your shower up. You can do this by either moving your heat selector to the highest setting or rotating your temperature rotor to the red zone. This will allow you to shower at a comfortable temperature. 🡲 In the summertime, your best option is to simply lower your shower’s water temperature. This alone will do wonders for creating more stable shower heats. Your shower is a special part of your morning routine. And a bad shower only sets the steps for a bad day from there. So, make sure you’re getting this step right by averting any type of temperature fluctuation.